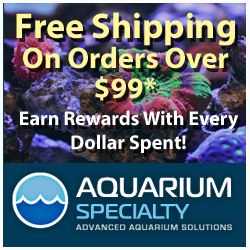 The minds at Aqua Medic have been quite busy lately developing and releasing a plethora of new products for saltwater aquarium keepers. 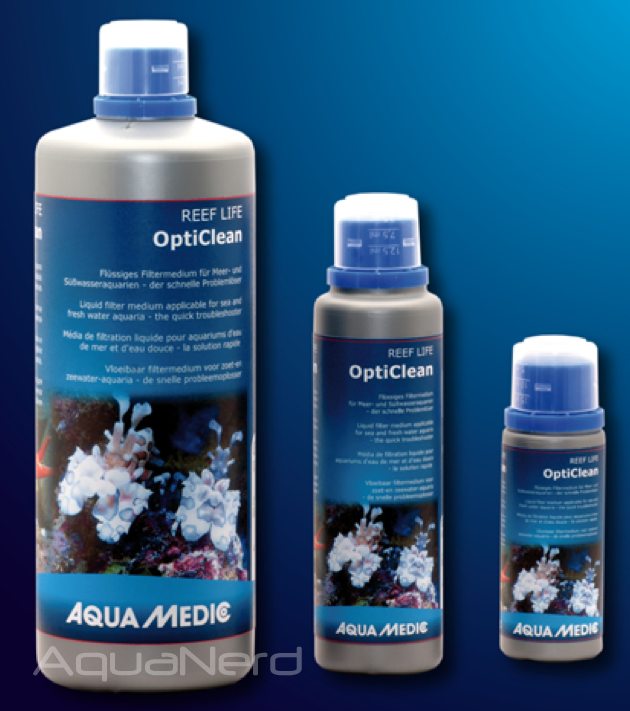 One of their newest products is a complete line of aquarium additives called the REEF LIFE series. Recently showed off at Interzoo, these new supplements consist of both liquid and powder products aimed at creating a stable environment in which can grow corals. A total of elevn products make up the REEF LIFE lineup, with a small group of those being incorporated into the separate REEF LIFE System Coral three part dosing system. The remaining standalone products are aimed at water parameters like magnesium, strontium, iodine, ion balance, and even contaminant removal. 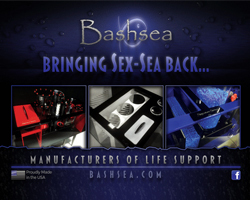 Below is the full line of products, along with a brief description of each item. 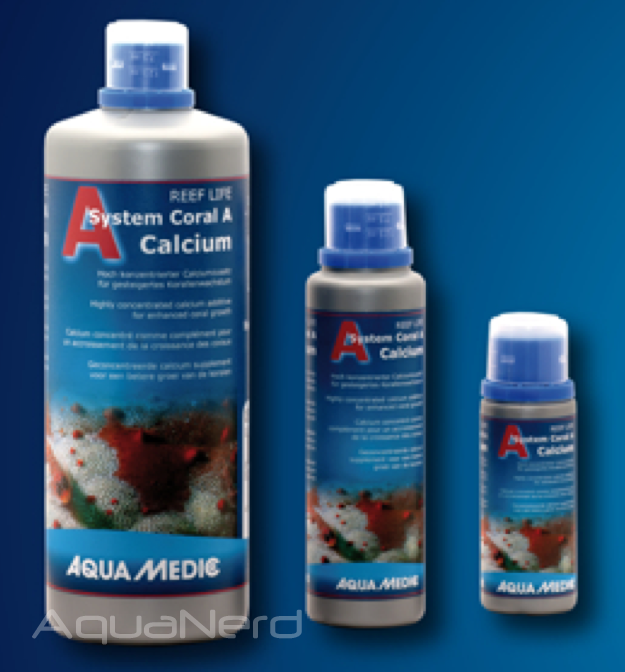 The System Coral A Calcium product is a concentrated calcium additive that provides proper amounts of usable calcium for coral growth. 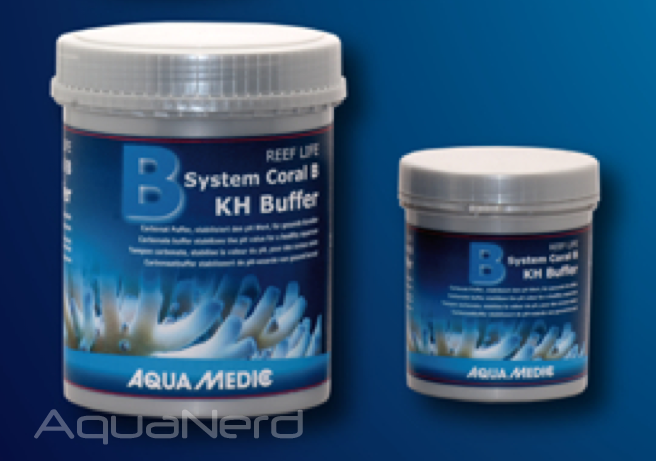 The second additive in the System Coral linkeup is Part B KH Buffer, a carbonate buffer solution that stabilizes pH and increases alkalinity. 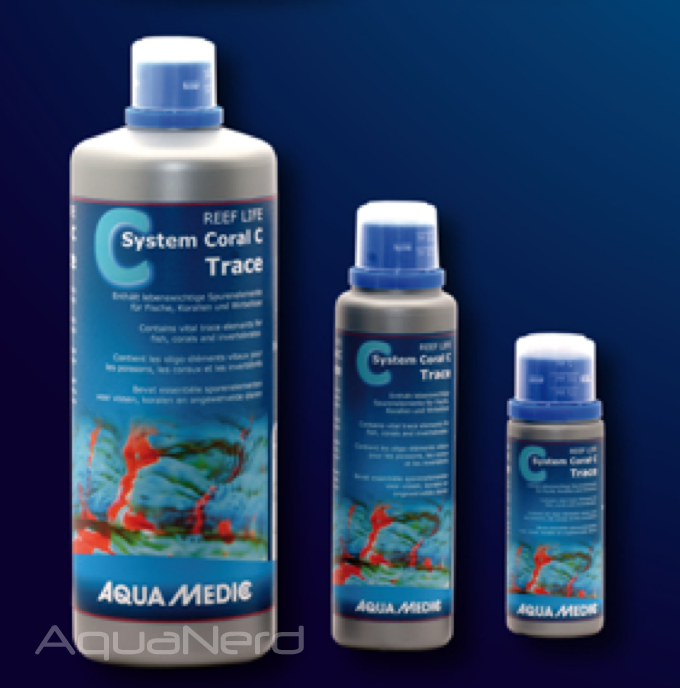 Part “C” of the System Coral additives is Trace, which provides the reef aquarium with vital trace elements (boron, chromium, cobalt, copper, fluoride, iron, manganese, molybdenum, and zinc) in appropriate concentrations for fish, corals, and invertebrates. This supplement contains strotium ions in a form that can be easily assimilated by invertebrates. 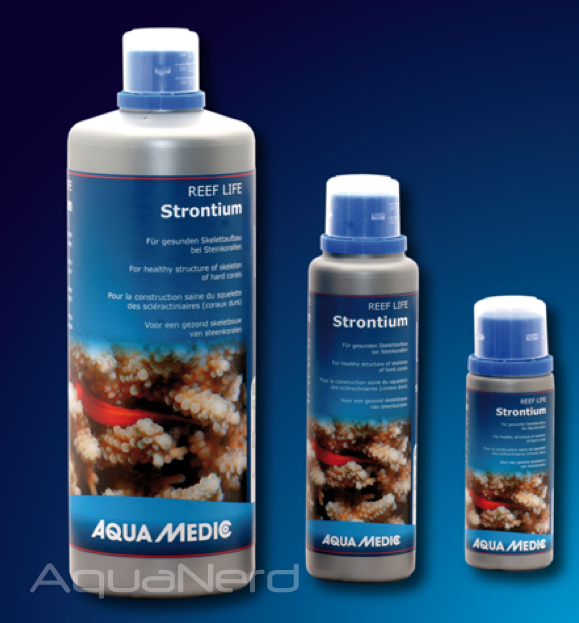 Strontium is an imporant element that helps corals, bivalves, and calcareous algae take in calcium and produce their hard skeletons. The REEF LIFE Iodine actually contains three different forms of iodine, which include iodide, organic iodine, and elemtary iondine. 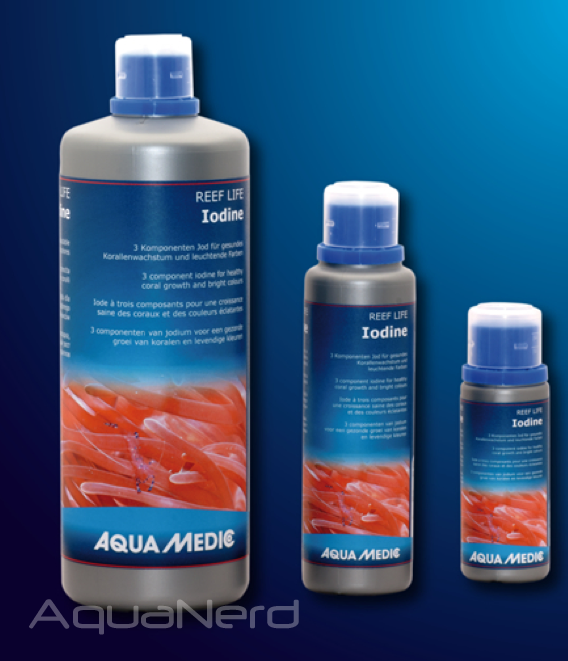 Iodine is important in a reef aquarium for healthy coral growth, bright coral colors, and invertebrate molting. The organic bond releases iodine more slowly than the elementary or iodide, which makes it ideal as a long term supplement. 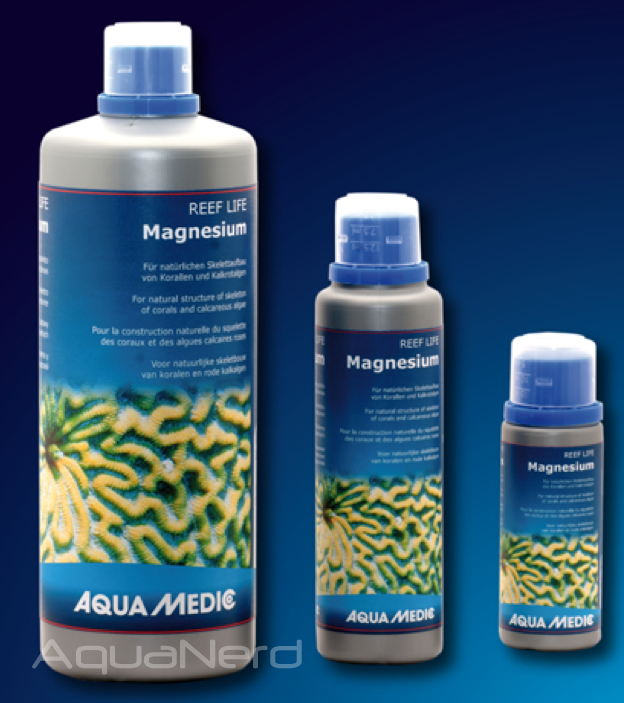 Magnesium is an ideal supplement for reef building corals and calcareous algae, and the REEF LIFE Magnesium increases its concentration in the aquarium to suitable levels. The OptiClean product is an interesting one. Out of all of the REEF LIFE additives, it’s the only one not aimed directly at coral growth. Instead, it’s sole purpose is contaminant removal. OptiClean contains activated micro particles of high purity Clinoptilolite, which binds heavy metal and pesticide contaiminants. The particles are removed via protein skimming and the resulting water is clean and clear. 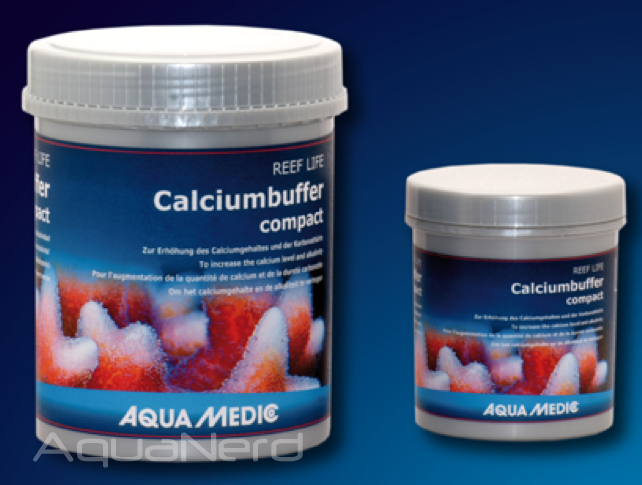 For reef keepers with high calcium demand, liquid additives just won’t cut it. Hence, the Calciumbuffer compact is a more ideal supplement. This powder additive contains concentrated calcium and carbonate buffer in ideal concentrations to increase calcium and alkalinity in the aquarium. 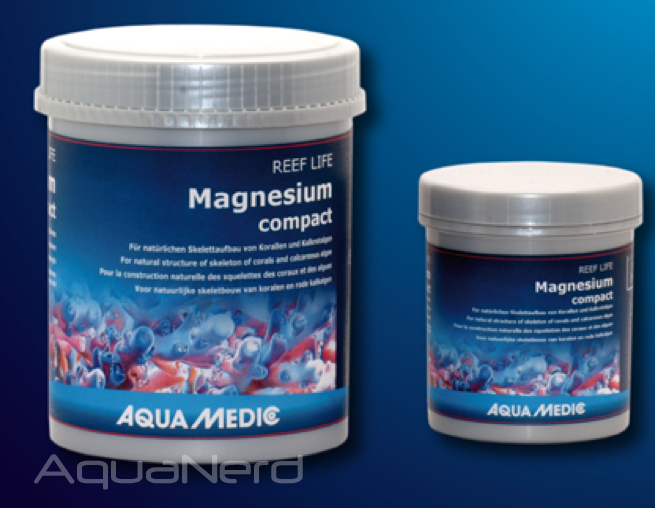 Much like the Calciumbuffer compact, the Magnesium compact is made of concentrated powder designed for the most demanding of reef aquaria. This mangesium powder is designed to increase magnesium levels for healthier coral skeleton growth. 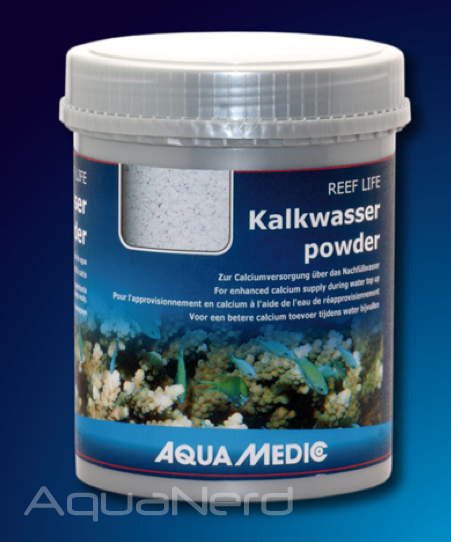 Kalkwasser has been a staple in the aquarium industry for decades, and no additive line would be complete without it. The Kalkwasser powder is deisgned to be used when topping off evaporated water and raises both calcium and pH levels, while also reducing phosphate concentrations via precipitation. 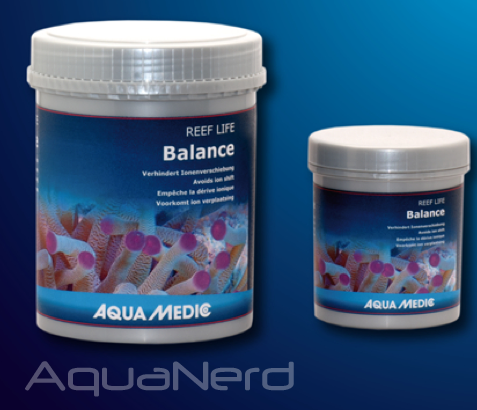 The Aqua Medic REEF LIFE Balance is a pure sea salt additive that contains no sodium chloride. It is designed to be added to the aquarium in order to prevent the ion shift that occurs when calcium chloride and sodium hydrogen carbonate are used.